Following their 2012 performance supporting Italian Horror soundtrack legends Goblin, Australia’s goth-synth heavyweights The Night Terrors were commissioned to compose an album of music with the Southern Hemisphere’s largest Grand Pipe Organ. 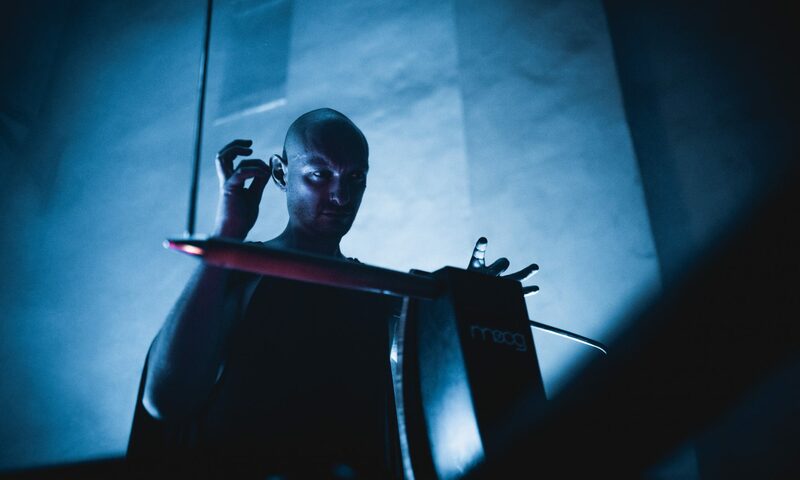 Recorded at the Melbourne Town Hall, Friday the 13th June 2014, and launched on Halloween 31st October 2014, Pavor Nocturnus – Composition for Grand Organ, Theremin, Electronics and Percussion is an inferno of haunting Theremin-led post-prog and dark cosmic dance. Quiet drops of sepulchral voltage and cacophonous whirls of intricate acoustic phenomena intermingle to prise open the maddening space between sentience and expiration. The Night Terrors create a euphorically terrifying dream sequence, a perfect soundtrack for Halloween. Their most frightening and beautiful recording to date. Released on LP by Andy Votel’s Twisted Nerve Australia in association with Dual Planet. All tracks composed by Miles Brown.